Clean, healthful drinking water is essential, regardless of whether your water source is from public distribution, underground or the surface. Unfortunately, the water we drink today, combines with far more substances than it did when the life on earth was created. Sad to say, but the water is now subject to endless amounts of pollutants. As if contamination from parasites, gasoline, fluoride, chlorine and aging pipes weren’t enough, pesticides, pharmaceutical drugs, lead, nitrates, asbestos, and even radioactive waste all have an impact on our water. Setting up a home water purification system can make a difference in the quality of the water we drink, cook or bathe in, with many benefits to our health. Water quality for our household needs depends on the geographical location and source. Even though the quality of your home’s water may meet local standards, it may still contain some contaminants. These are picked up as the water travels a long way to reach your home. They can include chlorine, dissolved metals such as lead, mercury or iron, and chemical contaminants that come from pesticides and other industrial sources. Not all home water purification methods work the same way on different types of water. That’s why it all depends on the contaminants existing in the water source. 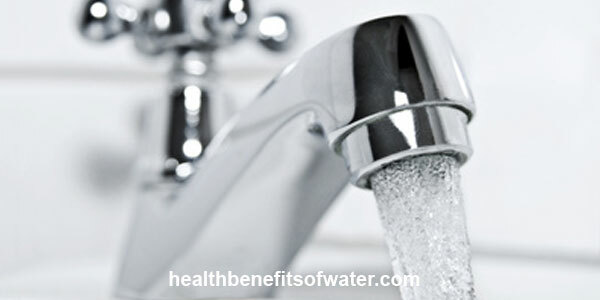 It is important that you first test your water before choosing a treatment system. The number of water treatment products in the market today is overwhelming. You can find it difficult to choose the best product to buy. To make it easier for you I made a list with the most common methods of home water purification for the household use, along with their pros and cons, and some new ideas. Disinfection kills most of the harmful bacteria, viruses, worms and cysts found in water. These can cause acute illness. The most effective disinfection methods for your home water are ultraviolet disinfection and chlorination. This method uses a lamp as the ultraviolet light source, contained in a transparent sleeve which is usually quartz. The nucleic acid of harmful microorganisms absorbs UV energy from the UV light. This scrambles their DNA structure, rendering them harmless and unable to reproduce. Ultraviolet disinfection kills microorganisms such as bacteria, viruses, algae, molds, yeasts, and oocytes such as cryptosporidium and giardia. It does not add any harmful chemicals to the water. It does not change the smell, taste or color of the water. It is effective against both cryptosporidium and giardia, unlike chlorine. It requires very little contact time. It is compact and easy to maintain. It requires pre-filtration for it to be fully effective. This is because sediments and other contaminants can prevent the UV rays from reaching the contaminants. They cannot remove sediments and chemical contaminants. Because of this, ultraviolet disinfection systems are usually incorporated into whole-house systems that have filters. Chlorination is a popular method of disinfection. The most common method of chlorination involves injection of liquid chlorine bleach into the water using a pump. It destroys bacteria, parasites, and other microorganisms, and also removes minerals. Proper chlorination kills both disease-causing bacteria and nuisance bacteria such as iron, slime and sulfate-reducing bacteria. t is effective in the removal of large amounts of iron, hydrogen sulfide and manganese. It changes the smell and taste of water. It does not remove nitrates from water. It may lead to the formation of Trihalomethanes (THMs). THMs are considered to be a potential cause of cancer. * Excess chlorine and chlorine-based chemicals such as THMs can be removed by filtration using a carbon filter after chlorination. Reverse osmosis systems use reverse pressure to force water to pass through a semi-permeable membrane which removes impurities. These systems remove substantial amounts of most inorganic chemicals like salt, minerals and metals, many organic chemicals and most microorganisms. It removes 95 to 99% of total dissolved solids. It removes health contaminants like arsenic, asbestos, fluoride, some pesticides, lead, radium and mercury thus giving water its sparkling appearance. It is highly effective in areas having hard water. Buildup of materials might disable the semi-permeable membrane’s functions. Chlorine can also damage the membrane. Particles that are smaller than water such as some pesticides and chlorine can pass through the membrane. It removes healthy, naturally occurring minerals from the water. As a result, you may find the water to be tasteless. * Due to the above drawbacks, most RO systems incorporate one or more additional filters on either side of the membrane. Distillation involves heating of water until it vaporizes as steam. Impurities such as bacteria, viruses, minerals, trace amounts of metals, nitrates, and many organic chemicals are separated from water. The steam then condenses into relatively pure water. It removes a wide range of contaminants. It is reusable. There are no filter cartridges to replace. The distillation process is very slow. It can take two to five hours to produce a gallon of distilled water. Distillers consume large amounts of energy. Distillers require regular cleaning of the boiler, condensation compartment and storage tank. Contaminants that readily convert into gases, such as volatile organic chemicals, can be carried into the condensation compartment. Distilled water is mostly recommended for special medical treatments and not everyday drinking. Filtration is a simple and effective way of controlling a variety of contaminants. Contaminants are trapped in the pores of the filter, or are adsorbed or broken down by the filter media in the filtration system. The best filtration system is activated carbon filters. These absorb impurities in water as it passes through a carbon cartridge. They are most effective in eliminating undesirable tastes and odors, organic compounds and residual chlorine. They can also remove some potentially hazardous contaminants such as radon gas and trihalomethanes. They come in different sizes and shapes. Small units can fit on kitchen taps and treat 100 to 300 gallons of water before needing replacement. Large units that fit under sinks can treat up to 1500 gallons of water. The canisters of such units are connected to the cold water line. They remove dissolved organic materials and chlorine effectively. They are compatible with other home purification systems. They often require frequent filter changes. Certain contaminants such as fluorides, nitrates and a range of microorganisms cannot be removed by the filters. When buying a water filter, you should ask the dealer whether it can be replaced, the frequency of replacement and the cost of replacement filters. You can get replacement filters from the same dealer, at other plumbing supply stores or online. * When purchasing a home water treatment system, make sure your dealer provides you with information on the maintenance required and how to know if the system is not working properly.